I promise I’ll update the WHC list this week! Really! Give thanks! It’s time again for two full hours of Every Story Ever! We’ve been teleported to Battlepod! The Beyonder has forced us to talk about comics culture for his benefit, but, you know what, we don’t mind it all that much, because we’re getting to chat with two great podcasters, Elle Collins of Into It and DJ Benhameen of FanBros, about the characters with whom we best identify. Plus, a last-minute cliffhanger as we head into the SCOIP finale! Follow Elle and Behameen on Twitter! And, of course, go listen to their podcasts, Into It and FanBros! For more about Secret Convergence on Infinite Podcasts, check out the Tumblr and Twitter! This week, we welcome the writer of the new Mighty Morphin Power Rangers series, Kyle Higgins, to the show! We discuss his history with the rangers, the audience he’s trying to reach, zords, why Rita was great, Nightrunner, and so much more! Plus, we take some of your listener questions! The actress who played Rita in the MMPR movie was an Australian actress named Julia Cortez. She didn’t do the voice on the show. Here’s Andy Khouri’s (sadly, now very relevant) piece about Nightrunner that came out when the controversy hit. Here’s Kiefer Sutherland tackling a Christmas tree. Austin St. John’s Karate book. The driving force behind the Muscle Temple anthology, Frank Gibson, joins us for the show this week! We discuss getting into wrestling in New Zealand, Pokemon, Digimon, the early console wars, our favorite fictional wrestlers and much more! Plus, new entries to the Word Heavyweight Champions list! Follow Frank (and Becky) on Twitter! Go back Muscle Temple while you still can and read Capture Creatures! 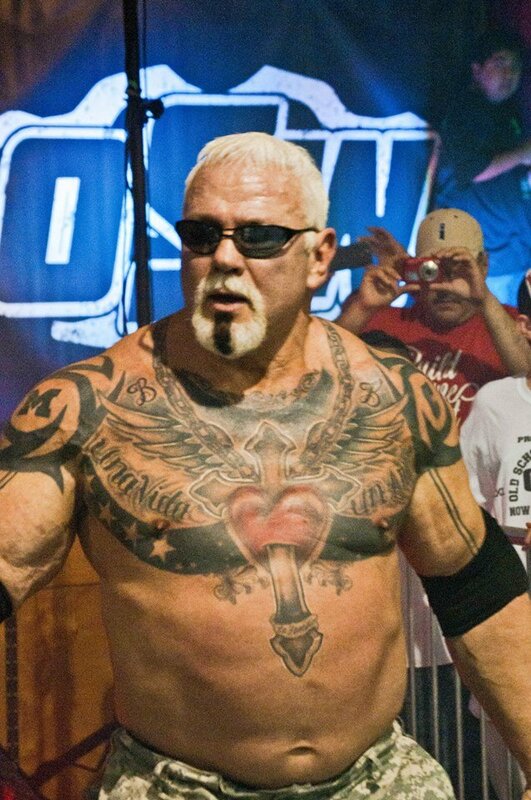 Scott Steiner roundup: His newest tattoos. His insane Shoney’s ad. The Steinercast with Kieran Shiach and Kyle Starks. Go check out the Ranger Danger podcast! Start here, and be sure to listen to their interview with Kyle Higgins! Matt’s check and rec: Going to see Raw, More Brains! It’s the rare episode in which Matt and Chris are in the same room to record, and better yet, we’re joined by our better halves, Marlene and Aidan! We take some listener questions just before a ghost shows up and crashes our party. Follow Aidan and Marlene on Twitter! Chris and Aidan as Archie and Veronica. Matt and Marlene as Agent Dale Cooper and Laura Palmer.